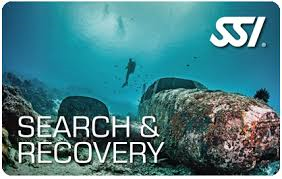 Finding treasure is something every diver thinks of more than once in his/her diving career. Whether it’s the gold of a sunken ship, a lost ring or simply your buddy’s dive light that was accidentally lost, there are times in which the appropriate training to search for lost objects underwater would be beneficial. SSI offers a structured program where you will learn to perform different search patterns with the help of ropes and compasses, and to plan search and recovery operations in a team.